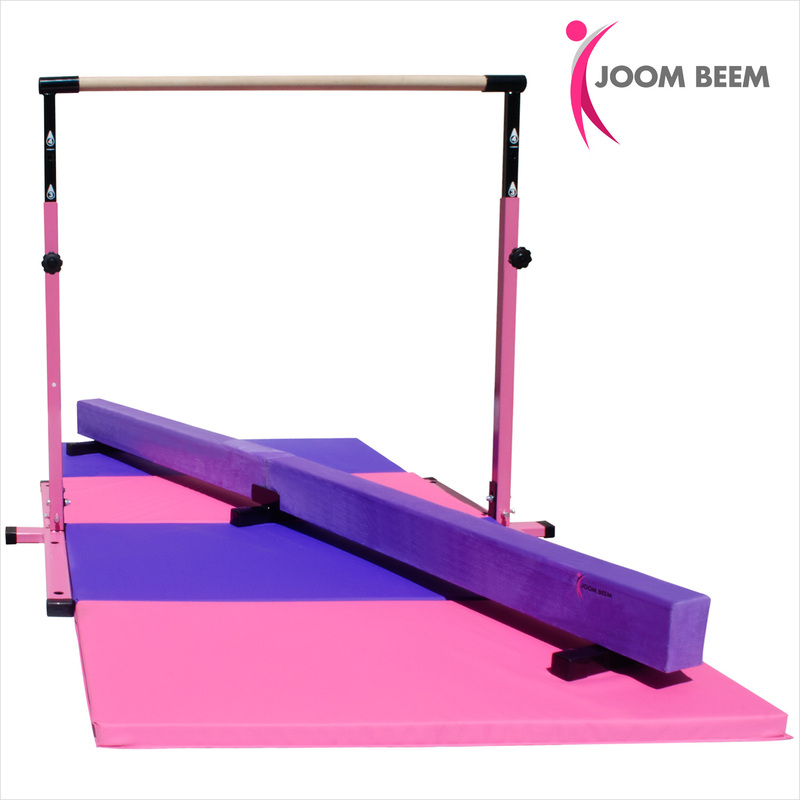 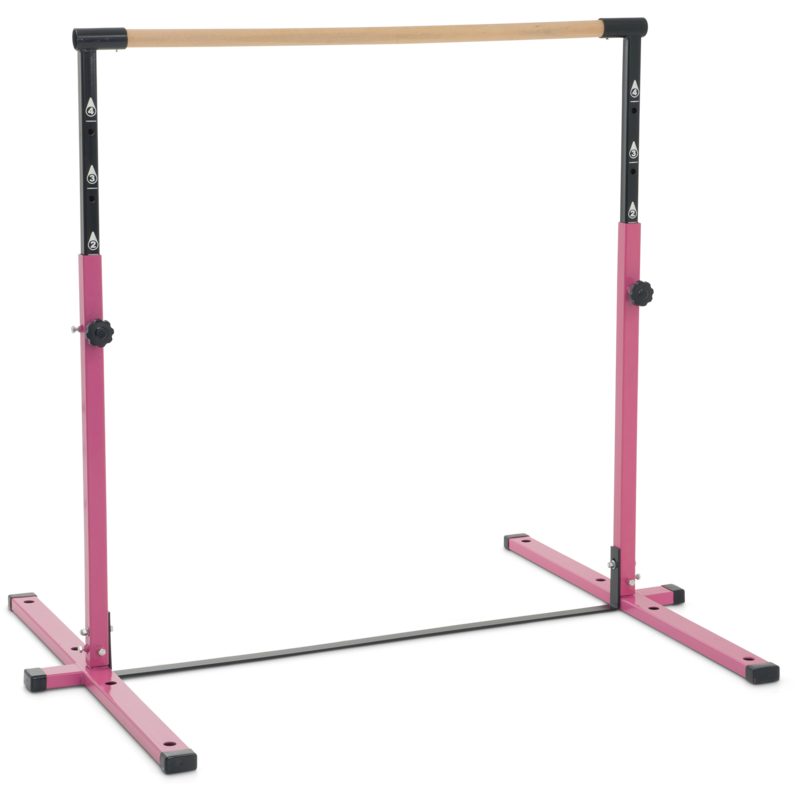 Joom Beem’s much anticipated Gen 2 Mini Gym Combo includes the upgraded Horizontal Kip Bar with numbered marking for easier adjustments, rectangular legs for increased surface area contact with the floor, pre-sunken holes for fastening the bar kit to the floor (bolts included). 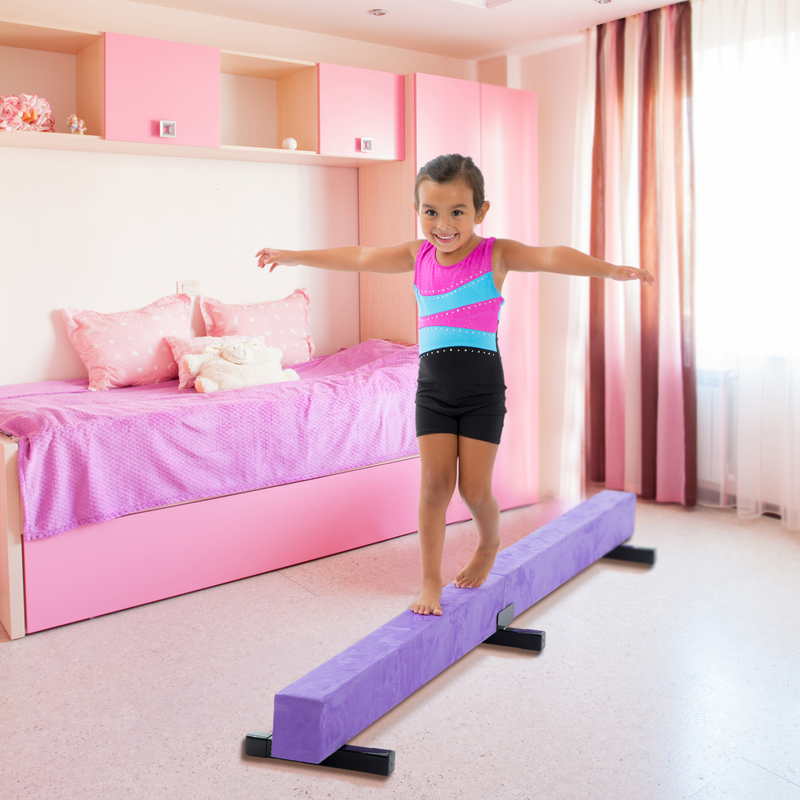 Also included is the Low Balance Beam’s quick-release middle brace for tool-less, easy disassembly that’s great for storage and transport. 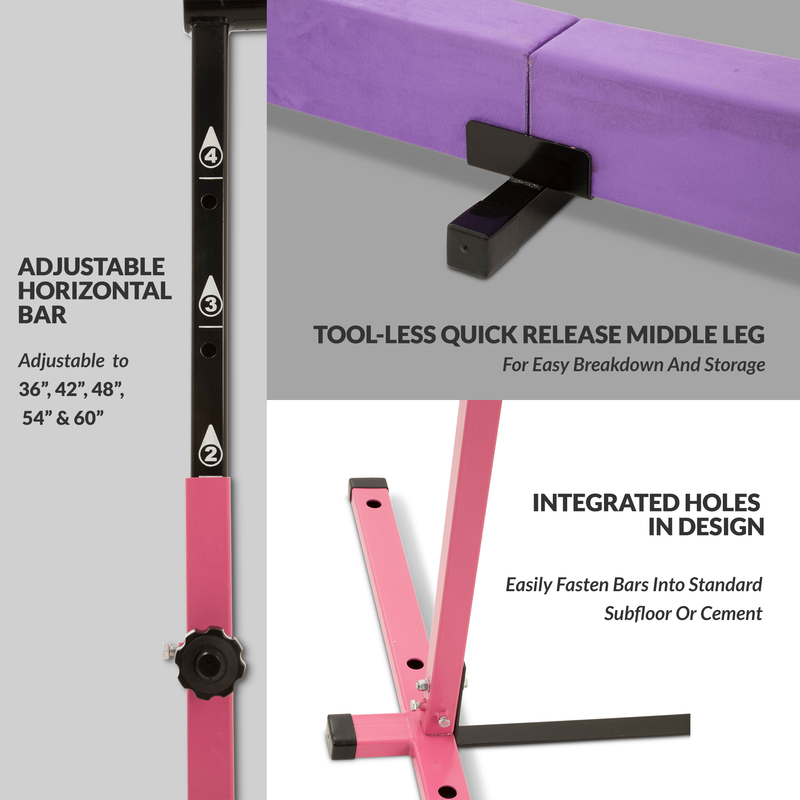 The Horizontal Kip Bar is adjustable to 36, 42, 48, 54, 60 inches with ultra-secure lock down stainless screw bolts. 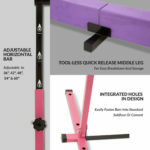 The Gen 2 model comes in the thicker rectangular tubing, marked adjustments, pre-sunk holes for attaching to the floor. 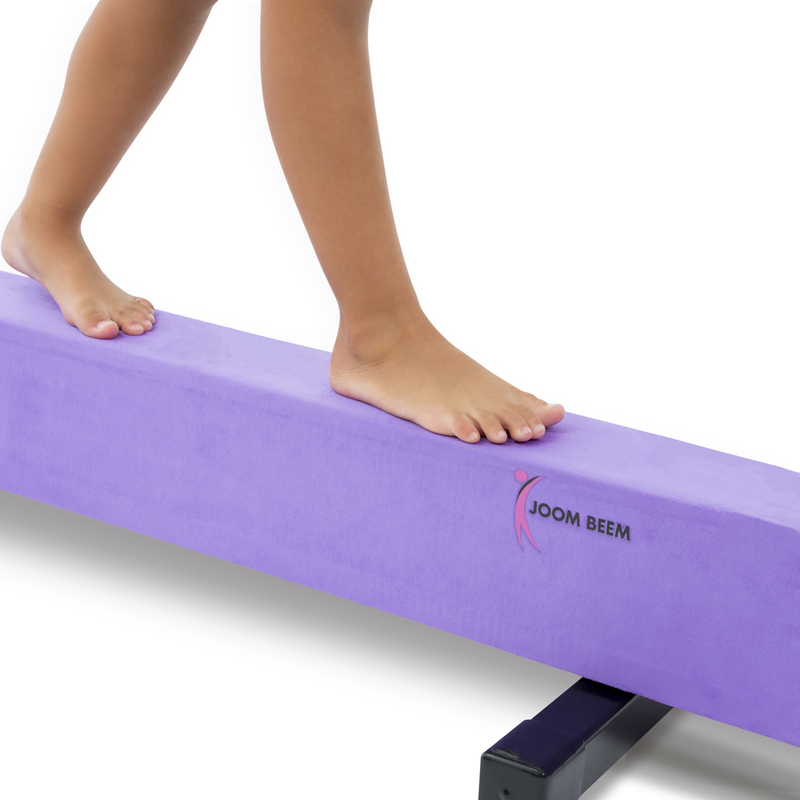 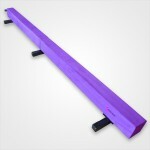 The Low Balance Beam is 8 feet long, 4 inches wide, and 6 inches tall. 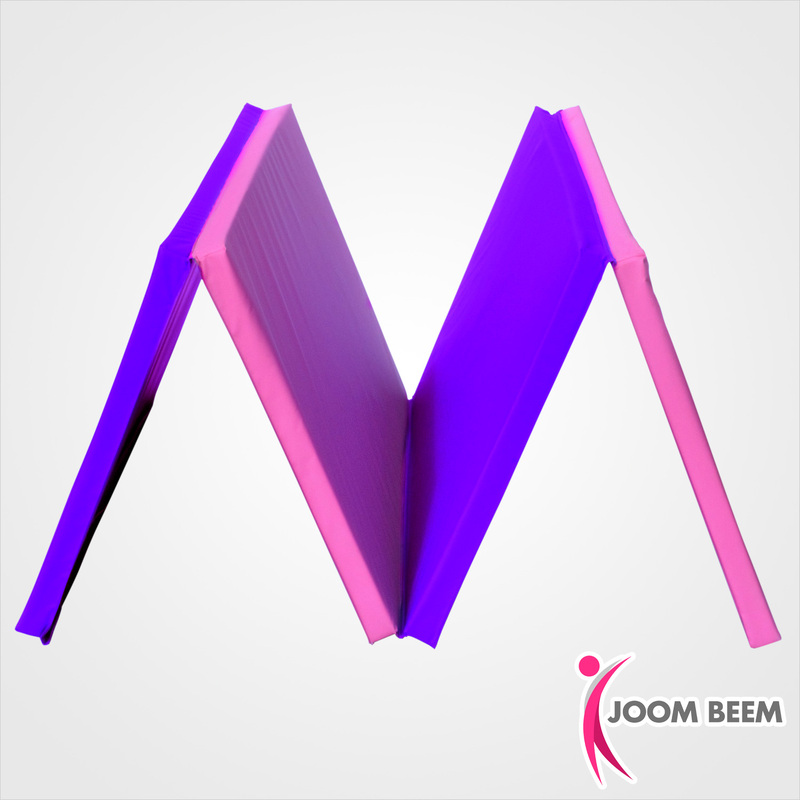 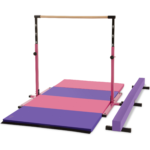 It is constructed from a lightweight wood composite material. 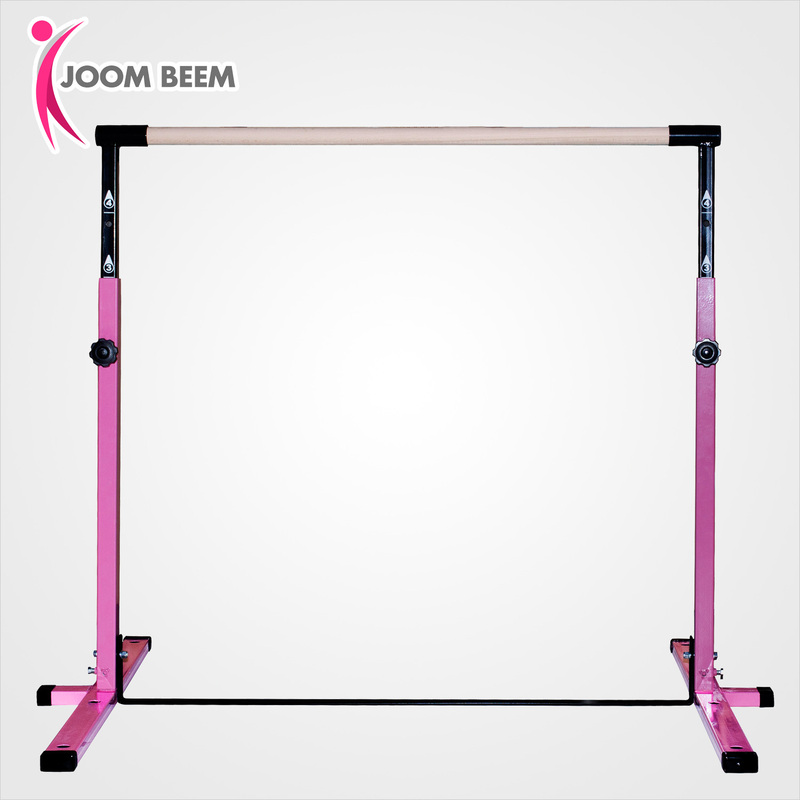 With its breakthrough folding beam design, it can easily be folded in half on its flat, durable stainless-steel hinge for easy storage. 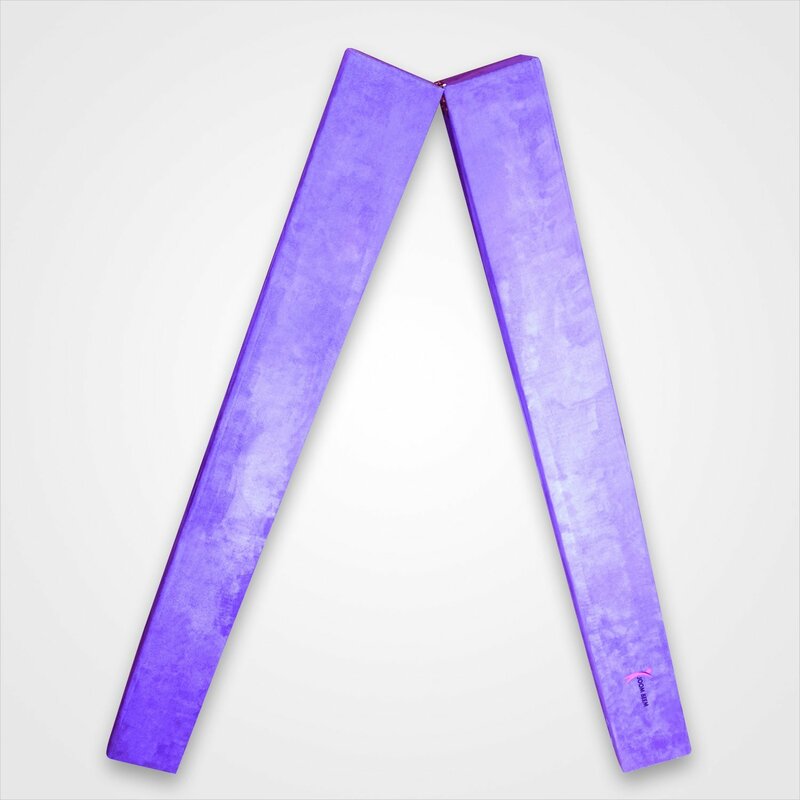 This low beam features a 3/8-inch thick durable foam padding topside and is covered all around with beautiful and tactile purple suede. 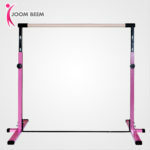 It has two attachable braces/feet assemblies included plus quick release middle leg. 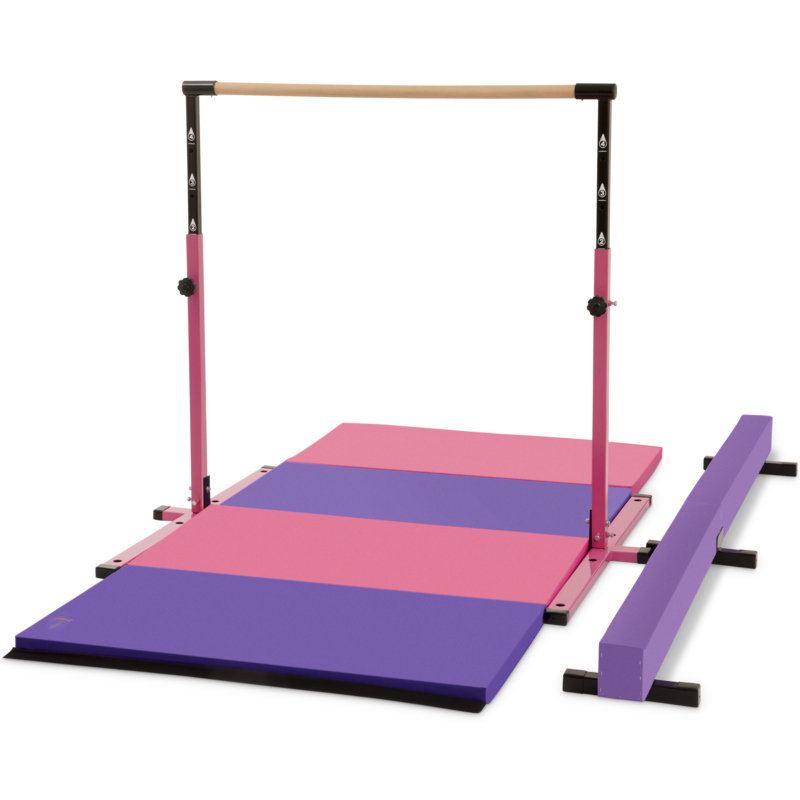 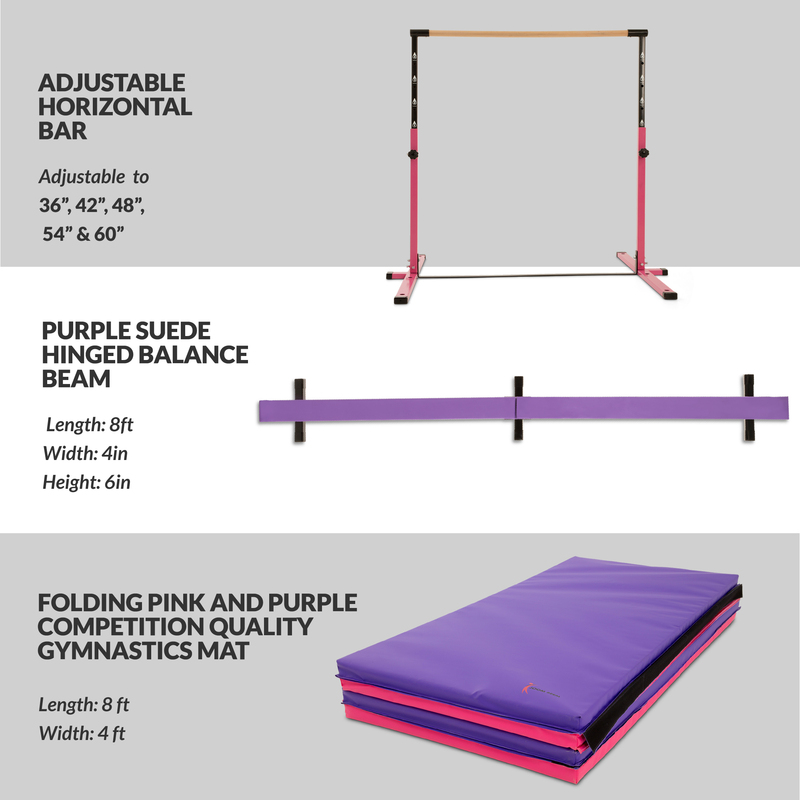 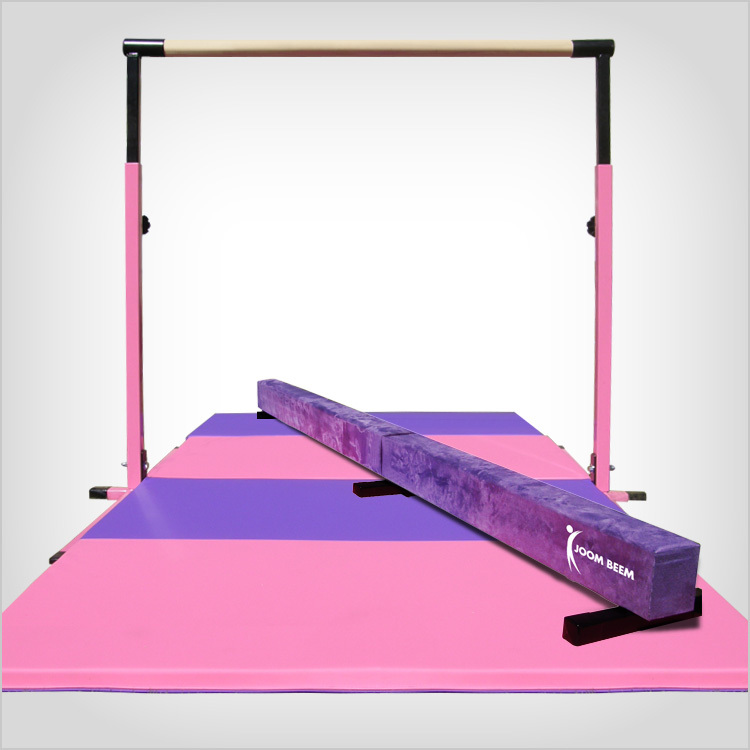 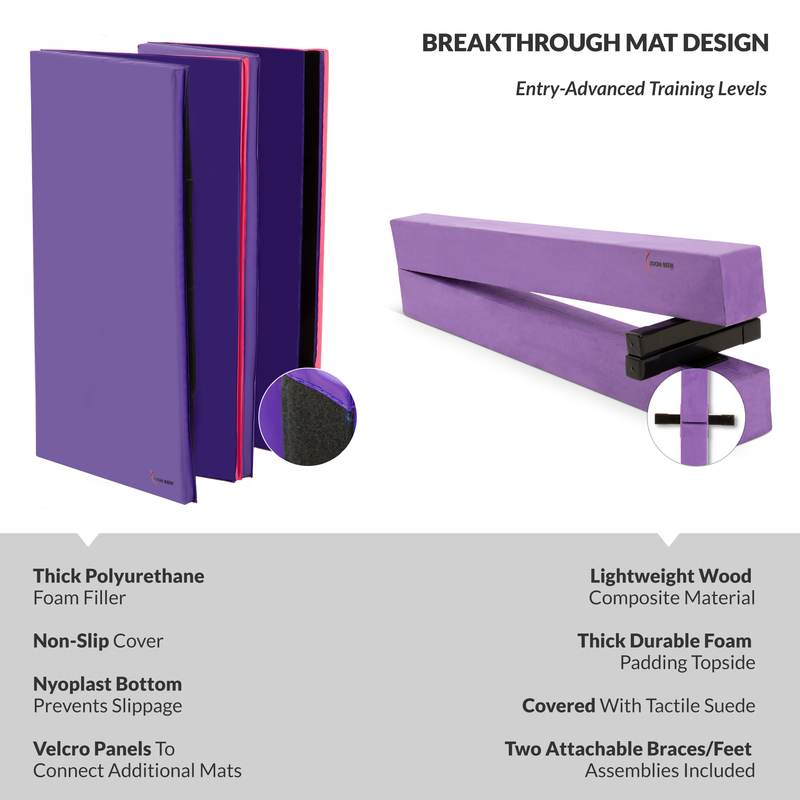 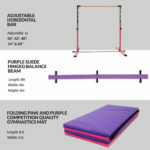 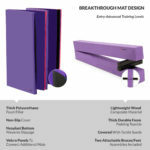 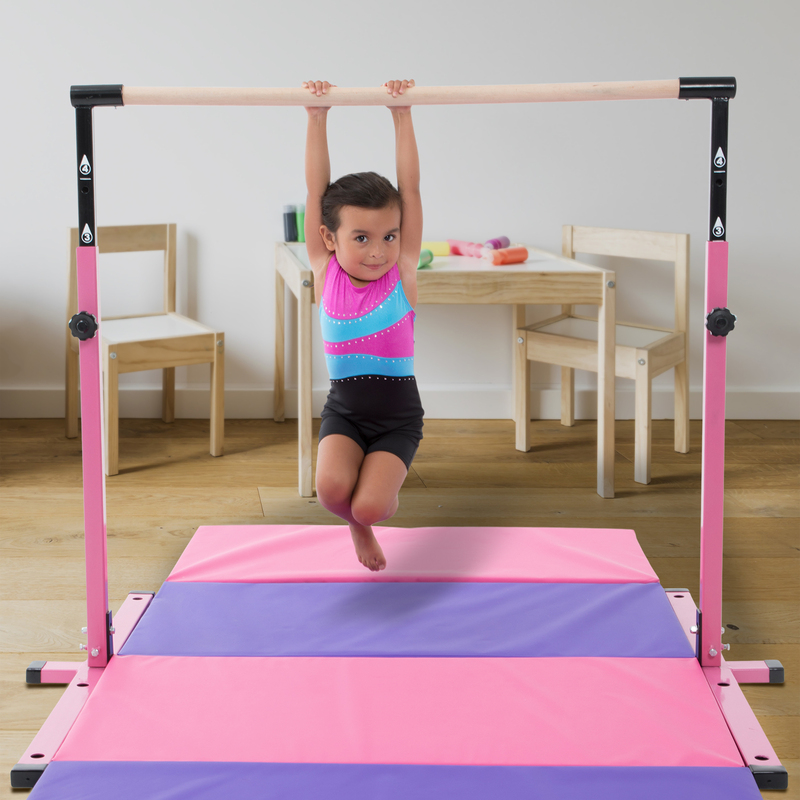 The premium folding mat can be used for entry-level to advanced gymnastics training. 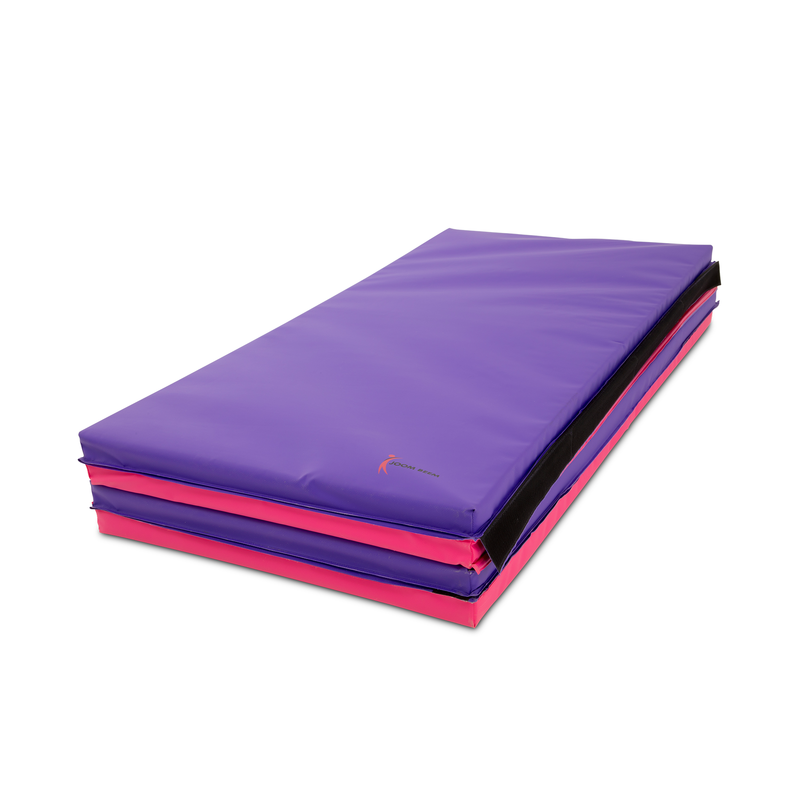 With its 1 3/8” thick polyurethane foam filler, 18-ounce vinyl over nylon non-slip cover that is also fire-retardant, puncture and mildew resistant. This mat has a Nyoplast bottom to prevent slippage and feature Velcro panels on each to connect additional mats for more tumbling fun.